If there is one thing you do in Vietnam, it should be spending the night on a Halong Bay Cruise. 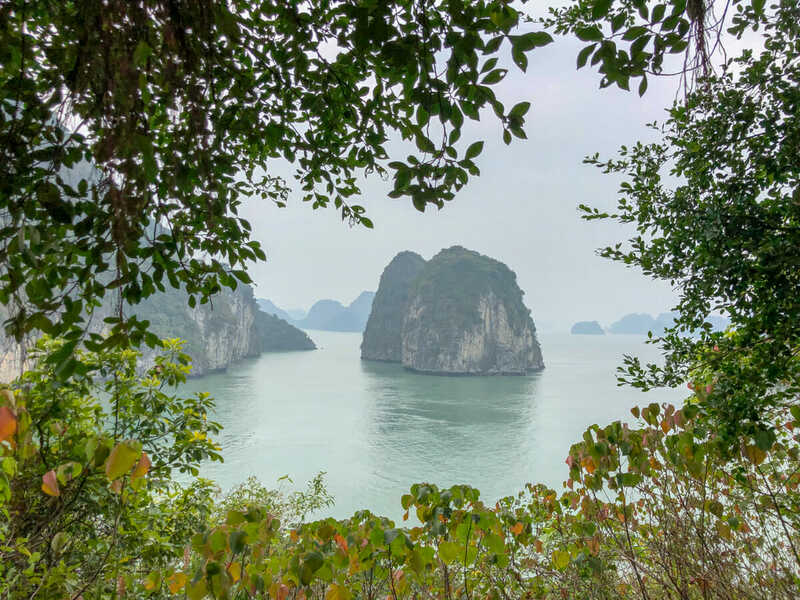 This UNESCO World Heritage site in northeast Vietnam, known for its picturesque limestone islets jutting out of the shimmering emerald water, is mesmerizing. During our visit, we were not lucky enough to have the crystal clear blue skies as shown on the postcards around Hanoi, but that’s just part of the allure of this area. You never know what you will get, but it will be magical nonetheless! While many visitors make the 3 hour trek to Halong Bay for the day, it really doesn’t do the area justice. Even if you are on a budget, an overnight Halong Bay cruise is one part of your trip to splurge on. It is a must visit on most Vietnam itineraries for good reason, it is spectacular! We spent hours researching the best overnight Halong Bay cruises and will share all the information with you here! 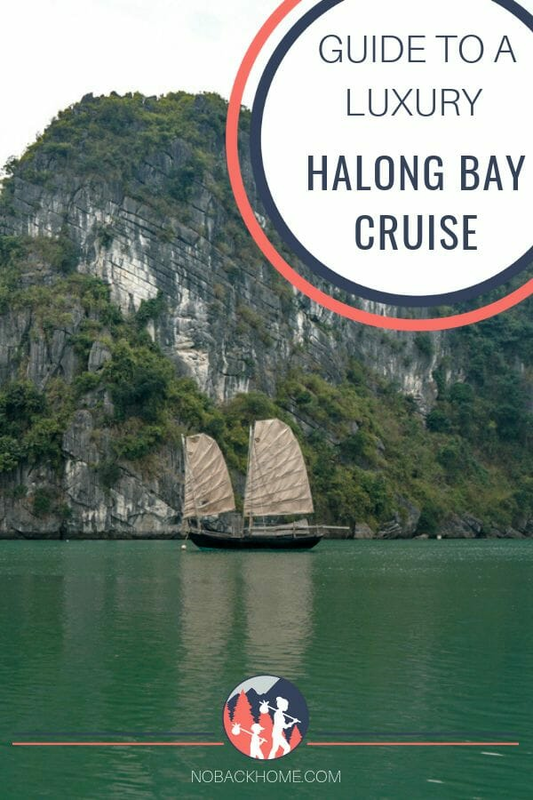 What are the Halong Bay Cruise Options? When is the Best Time of Year to Do a Halong Bay Cruise? What is Included in the Halong Bay Cruise Price? 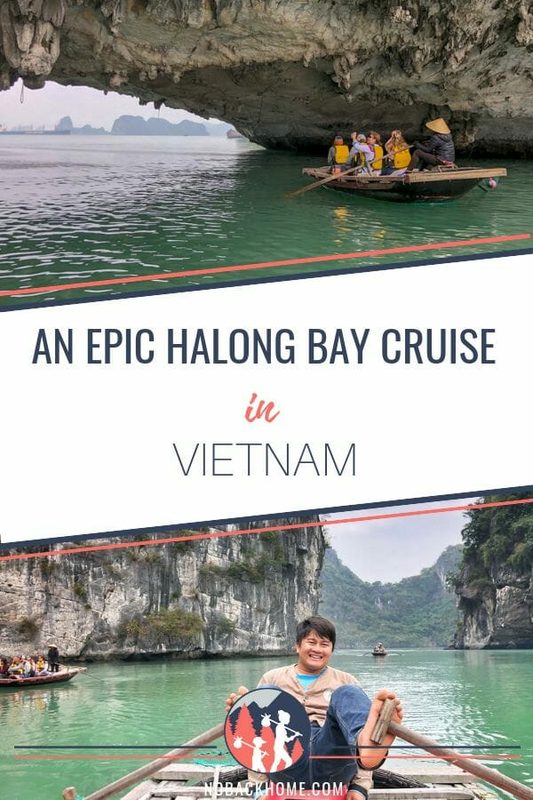 What are the Best Halong Bay Cruises for Families? The first part in organizing your Halong Bay cruise is to determine how long you wish to go for. 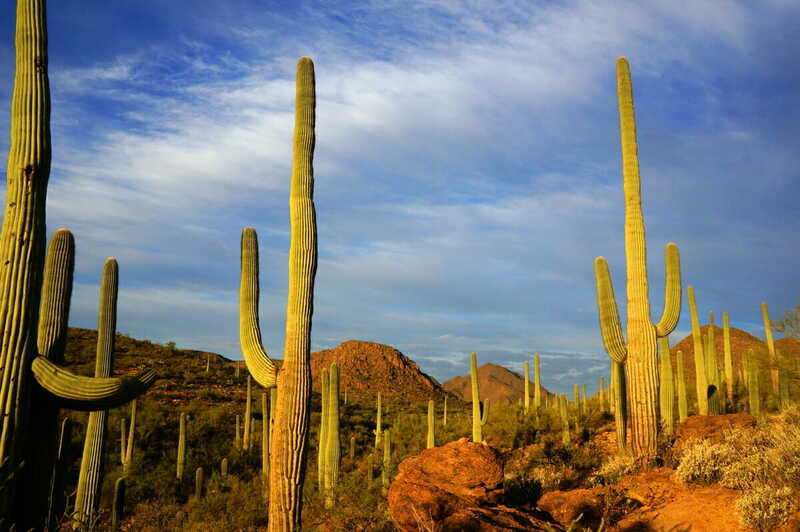 Most tour companies offer a selection of cruises from day trips to several nights on the boat. The most popular options are provided below. One day tours depart from either Hanoi, Cat Ba or Halong City. Essentially, you get a small taste of the bay, but will be spending much of your time driving to/from the area. I would only recommend this if you have absolutely no extra time in your itinerary but want to set eyes on the bay at least for a few hours! The Halong Bay 2 day, 1 night cruise is one of the most popular options. Almost all operators offer a version of this cruise. It will allow guests to venture further out into the Halong Bay area away from the crowds to really experience the beauty of this region. This was also the option that most families seemed to choose during our visit. In my opinion, this is a good choice for people with limited time. You see almost the same areas as in the longer trips, it is just much more condensed with less time for off boat activities. The 3 day, 2 night Halong Bay cruise is the one we opted for as it allows enough leisure time to enjoy the scenery while also providing ample adventure opportunities off the boat. Activities included in the 3 day tour often include squid fishing, cooking demonstrations, floating village visits, kayaking and more. For those with more time on their hands, a 4 day, 3 night tour to Halong Bay has to be the ultimate way to experience this scenic area of Vietnam. On the longer tours, you will see all of the major islands and have opportunities for many off boat activities such as a visit to the National Park, fishing with fisherman and more. While my son felt he could easily have done another day, I was OK with our 3 days, 2 nights tour. Fortunately for visitors to Vietnam, Halong Bay can be visited at any time of year. Ideally you should go when the skies are clear so that you get the full essence of the emerald waters. With that in mind, the best time of year is typically between February and April which is the best opportunity for clear skies and also happens to be the best time for squid fishing! November until January also has low rainfall, but it is often colder and can be quite foggy. The fog gives the area a mystical feel, but you do miss out a bit on the radiant water shimmering below you. You never know what you will get, but as long as you go with adequate expectations you will be blown away regardless. During our visit in January, it was sunny for only a few hours one day, but the water was still breathtaking even shrouded in mist most days. Halong Bay cruise prices start at around $60 per person per night and go up to $300 per person a night. 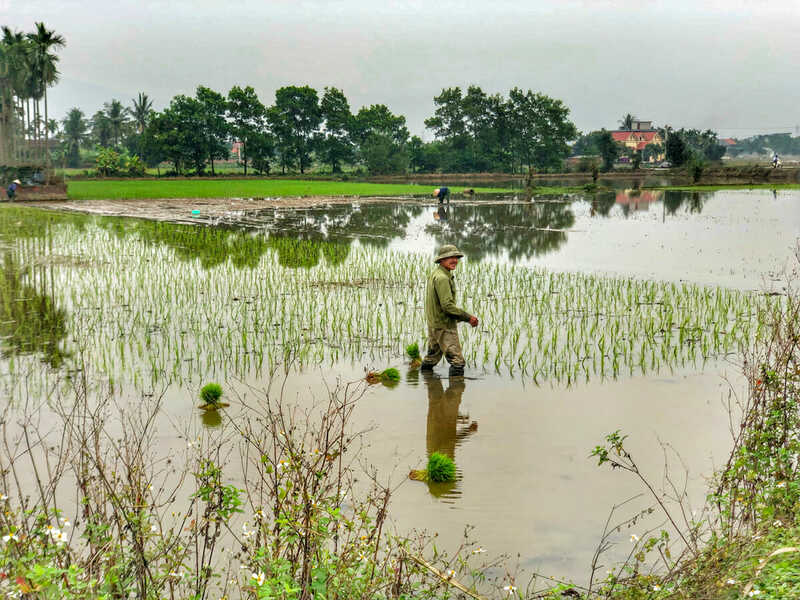 This means that even budget travelers can splurge a bit and enjoy this beautiful area of Vietnam. Typically your fare for the cruise will include transportation to and from Halong Bay (from the Old Quarter in Hanoi), all meals for the duration of the trip, water and off boat activities like kayaking or fishing. Note, no alcohol or soft drinks are included in any of the Halong Bay cruise prices. The rates are not too over priced, but they are also not Circle K prices either. Most cruises prohibit visitors from bringing their own drinks and snacks on board, however we do recommend you bring some, especially if you are traveling with kids as the snack options are quite limited on board. As mentioned above, most tours include transportation to and from Halong Bay. The journey from Hanoi takes approximately 3 hours. However there is a 30 minute stop in the middle of the trip at a shopping center with extremely overpriced goods. This is your last opportunity to buy any snacks or clothing that you might want or need for the trip. If you go to Halong Bay during the winter months you might consider buying a fleece here if you do not have any winter clothes as it can get quite chilly on the deck of the boat. While there are a wide range of options, I knew that I wanted a nice boat for our excursion on Halong Bay. After hours of research I came up with a list of only three companies that I was interested in, all of which were luxury cruises. Our options were Paradise Cruises, Au Co and Indochina Junk. After reading many of the TripAdvisor reviews for each company, we finalized with Indochina Junk as they seemed to have the most reviews, a nice focus on families and were very responsive over email. “Junk” refers to the Chinese style sailing boats that are used on Halong Bay. Indochina Junk is one of the first luxury boat operators in Halong Bay. 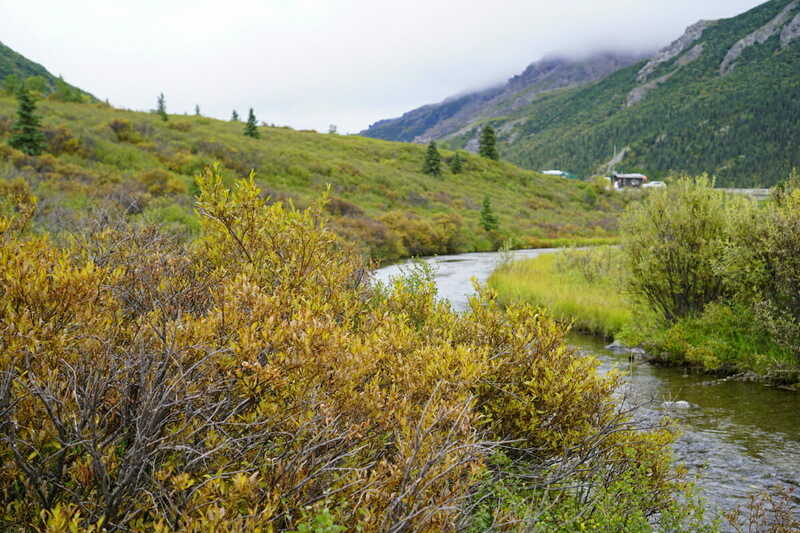 They have spent considerable time and resources exploring and rejuvenating the area. They offer a variety of cruise options from private “Honeymoon” boats to the largest ship in their fleet, the Dragon Legend. 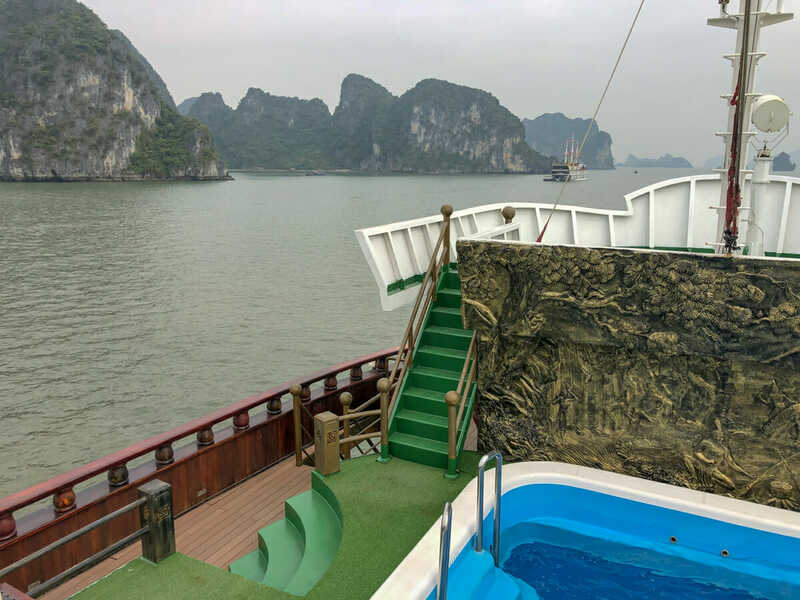 We found the Dragon Legend cruise to be perfect for families in that the guides were all very hands on with the kids, the chef was accommodating for children’s palates and it was not a party boat. Instead there were guests from all age groups including backpackers, luxury travelers, honeymooners and 2 week holiday travelers. This mix was perfect for us as we did not feel out of place as we might on a young backpackers cruise. The Indochina Junk was an amazing cruise for many reasons. Not only was it by far the nicest boat out in the bay, they have eco friendly policies that show their love of the area. We thoroughly enjoyed our trip on the Dragon Legend and would not hesitate to recommend this to anyone, from families to couples, to singles. The Dragon Legend has 24 rooms and boasts 4 levels. The boat is big enough to have plenty of space, but small enough to get around on within a minute or two. From the moment we were picked up by Indochina Junk to the moment we were dropped off, we were continually surprised as they exceeded our expectations. The luxury vans that pick up passengers were very comfortable with captain chairs that recline and move forward and backwards for the perfect fit as well as free WiFi. Our driver and guide were informative, providing a run down of the day’s events which I find quite useful as a family traveler. From the minivan transport, we were ushered into a beautiful waiting room with more free WiFi and clean restrooms to wait for our boat to arrive. All of our baggage was taken care of by the staff from pick up to drop off with very little worry about it from our end. Indochina Junk also has a great focus on safety; always requiring life vests even for a short jaunt in the small boat rides between the dock and boat. This attention to detail and safety was quite reassuring especially when traveling with young children. Once on the boat we met our lovely guide, Mr Smiley who was hilarious and fabulous the entire journey. He went above and beyond to engage my son even taking him kayaking when I was not going out. The cabins on our boat were phenomenal! 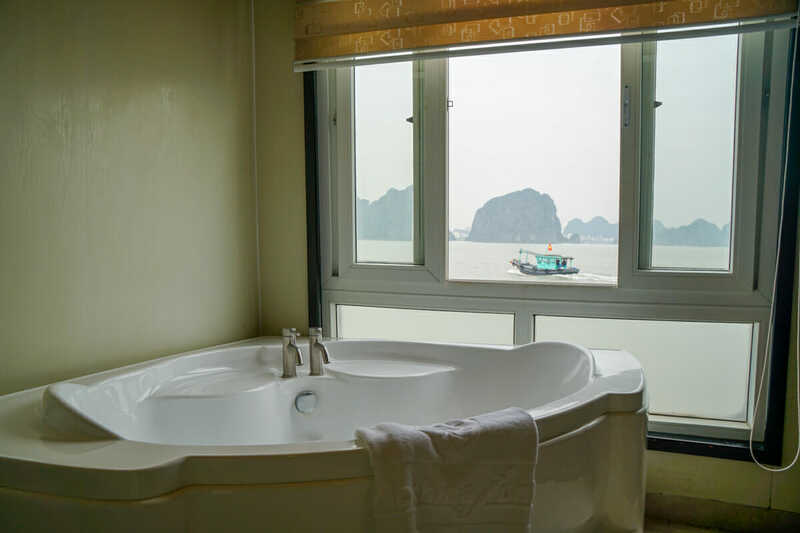 I’ve only been on two overnight boat trips- one in the Amazon and here in Halong Bay, but I was so surprised by how large our rooms were and that they included a massive bathtub! We had a twin share room, but they also have double bed rooms as well as cabins with king size beds along two levels. All rooms have large windows providing excellent views throughout the stay, a small sitting area as well as a closet to store your belongings. Rooms are also equipped with a hot water, combo AC/heater, safe, hair dryer and multi-country plugs. 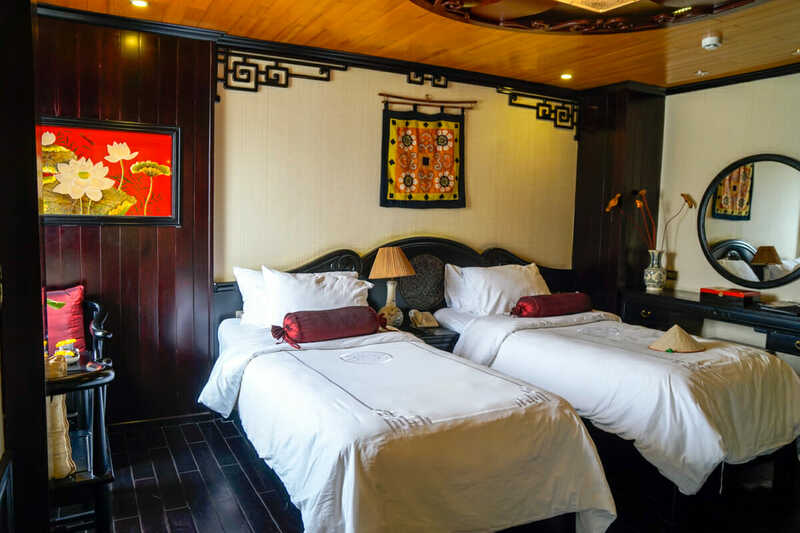 The boat is not 5 star, as in every detail of the boat is not perfect, but considering you are out on the water, in a classic Chinese sailing boat, the rooms are pretty great. I am a stickler for luxury and this boat definitely meets my standards. The boat is clean, with nice furnishings with a wonderful staff that helps with whatever you need. The Dragon Legend has four levels on the boat. Two levels are rooms and two levels are comprised of the decks and restaurant. On the upper deck there is ample space for guests to lounge around and soak up the sun. There is a small pool (or large bathtub as our guide Mr Smiley called it!) that will filled with hot water during our winter visit. In addition to this, there is also a spa on the top deck, that is perfect for the downtime between excursions. 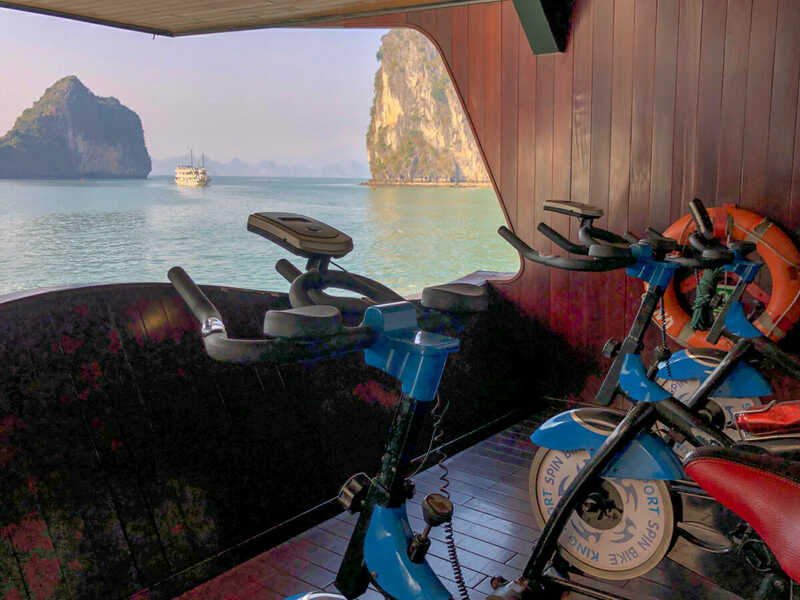 For those who need to get more exercise in, there is a small but picturesque gym with bikes and a treadmill overlooking the back of the boat. The only negative here is that if the boat is moving, you might get some exhaust from the engine! Additionally, there is free WiFi in the dining hall, however I must note it’s not super powerful especially when many guests are using it at once. Overall, the ship provides ample room to roam around and not feel like you are constantly bumping into other passengers. Additionally, the rooms are so spacious that it’s a joy to relax in your room watching the world go by outside of your large picture window. In reading reviews for this boat, the one thing that I read over and over was how great the food was. I’m always a little skeptical of that to be honest since I tend to be picky and food is so subjective. But I agree, the food was fantastic! The staff go out of their way to make special meals for guests as needed as well. We do not eat clams or beef so when these items were on the menu, the staff prepared other delicious dishes for us. One night they even prepared a quick stir fry chicken for my son, which he loved and requested a second time as well. Most meals on board the Dragon Legend are set meals with a variety of courses allowing guests to try many different foods. I actually enjoy this more than buffet since we tend to try less foods when given a choice. However there were two meals that were buffet so that guests can also get their own favorites to eat. The hits at the buffet were fried noodles and fried rice! Everyone seemed to crave carbs after a fish and vegetable centered few days! If you have any food restrictions, inform the staff before you board the boat and all of your needs will be accommodated to the best of their ability. As I mentioned previously, there is a wide range of prices for Halong Bay cruises. These tend to fall into three categories of budget, mid-range and luxury. The Indochina Junk tours are fully in the luxury category. Prices start at $249 per person for the 2 day/1 night cruise and is $420 per person for the 3 day/2 night cruise. However, it is best to always email the company and/or look on their website for seasonal promotions. We found the service via email to be excellent with all of our questions answered quickly. We were provided a media rate which included our two nights on the boat as well as one night in the village. However, even without this, we would be happy to pay for the cruise as it was well worth the money. We spent 3 days on the water at Halong Bay and there were no other boats that even remotely compared to our beautiful boat, except the company’s other large boat, the Dragon Legend 2. In addition to the beauty of the boat, the staff at Indochina Junk are amazing. They are funny, gracious and so informative about all things Halong Bay and Vietnam. Our guide Mr Smiley went out of his way daily to make sure my son, the only child on board, had a great time. He even took him out in his kayak giving him a personalized tour of the rock formations and ecology of the area, picking up starfish and snails along the way. 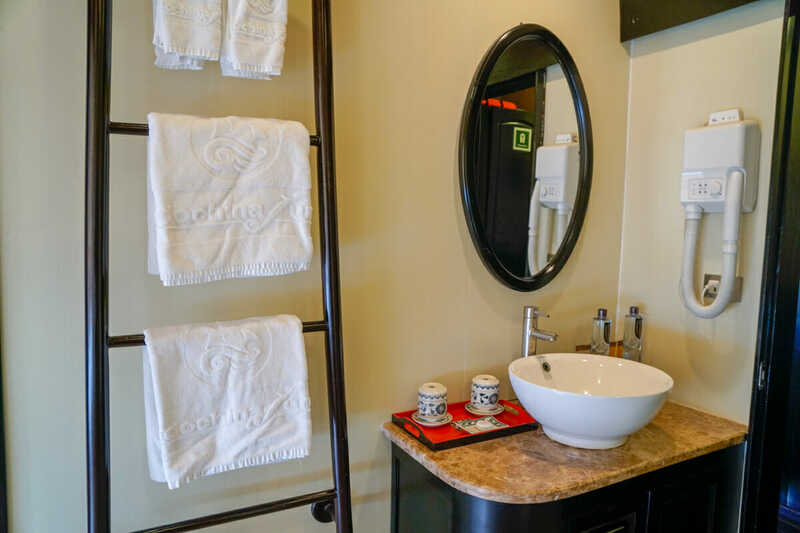 Furthermore, the rooms are large and well appointed with luxury linens and comfy beds. Indochina Junk is a perfect company to experience this beautiful area. Lastly, the company truly cares about the bay and the people who call this area home. Indochina Junk works hard to give money back to the people of the community by hiring them to row guests around the floating village. They also pay locals to collect trash in the waterways. Apart from this, our guide also took serious the issue of trash in the bay himself and went out of his way often to pick up trash as he saw it. 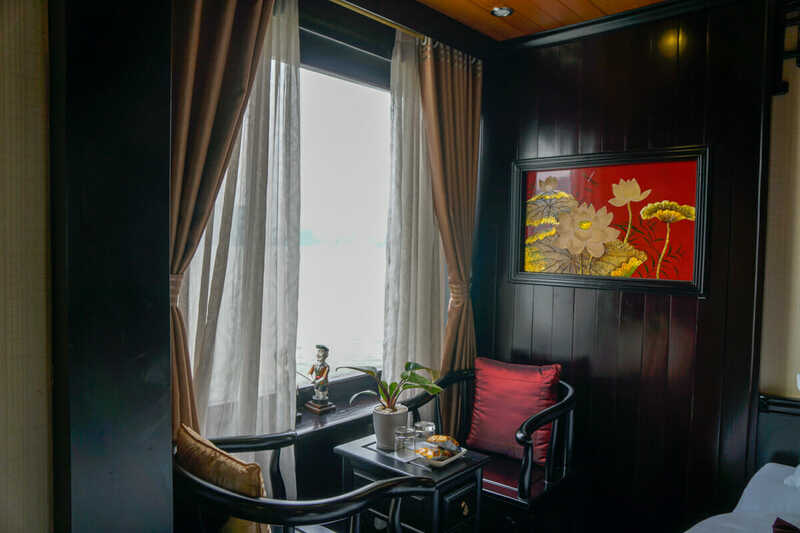 As a policy Indochina Junk does not provide straws, plastic bags or plastic wrappers on any amenities in the room. They do use plastic water bottles but they encourage guests to use the same one by refilling it during their stay. Overall, we were highly impressed with Indochina Junk. 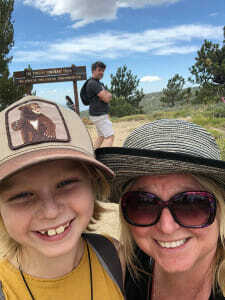 They are great for all types of travelers including families!